Hundreds of local farmers are enjoying the fruits of their labor now watermelons have come into season. 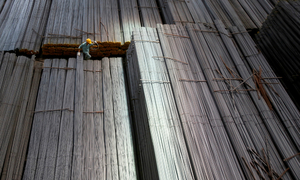 Over the last three years, a state-owned plantation in the southern province of Binh Phuong has cut down old rubber trees to make room for new ones. 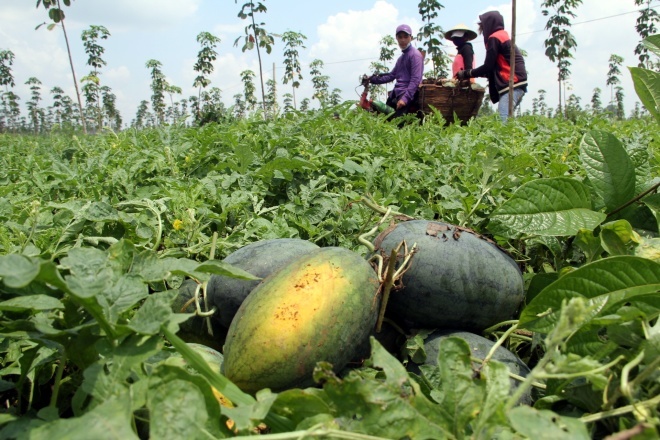 While the rubber trees are still young, many local farmers have hired land to grow watermelons. 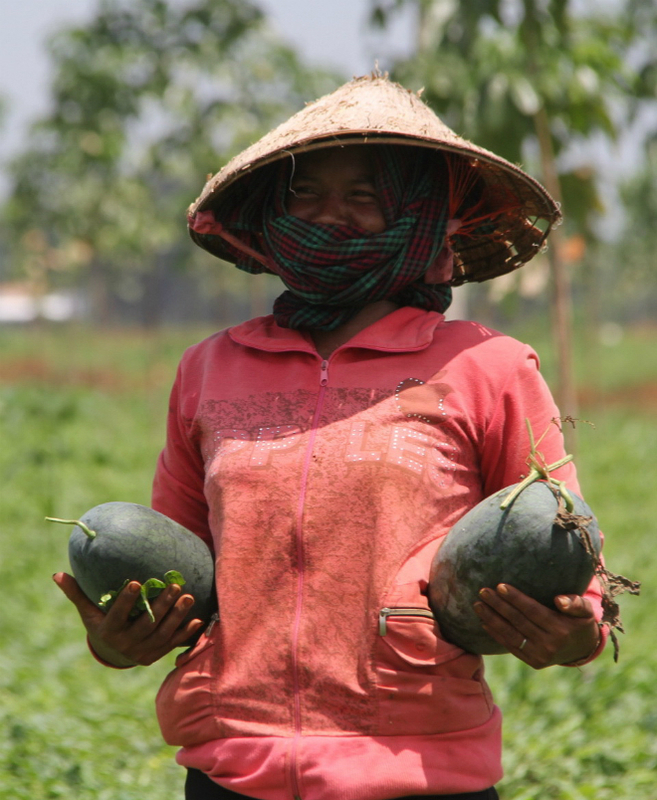 The melons take between 50 and 60 days from planting to harvest, so each family can grow two to three crops each year. 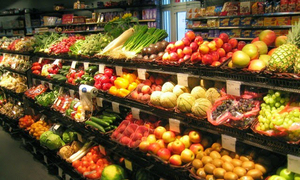 After deducting costs, local growers can make up to hundreds of millions of dong each year. 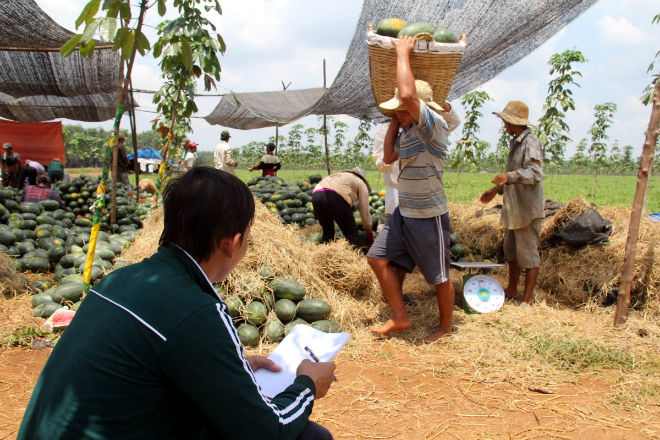 Hundred of hectares of watermelons have been planted under rubber trees in Dong Phu District, Binh Duong Province. 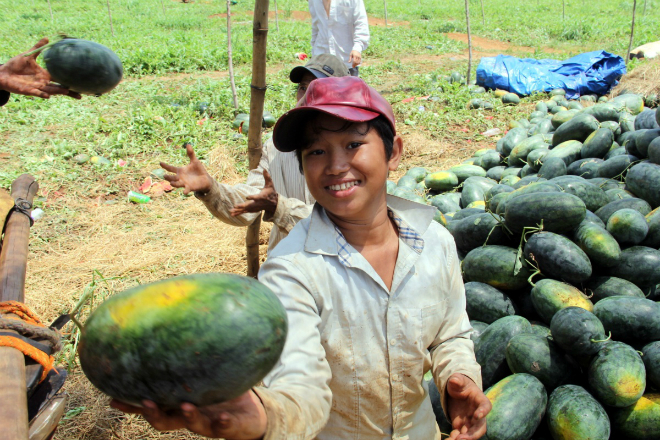 This year, watermelon gardens have produced a bumper crop, putting smiles on the faces of farmers. 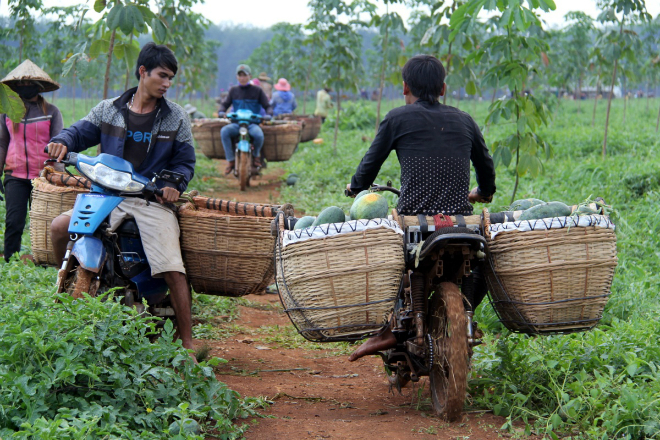 Farmers often use motorbikes to transport watermelons from their gardens to the market. 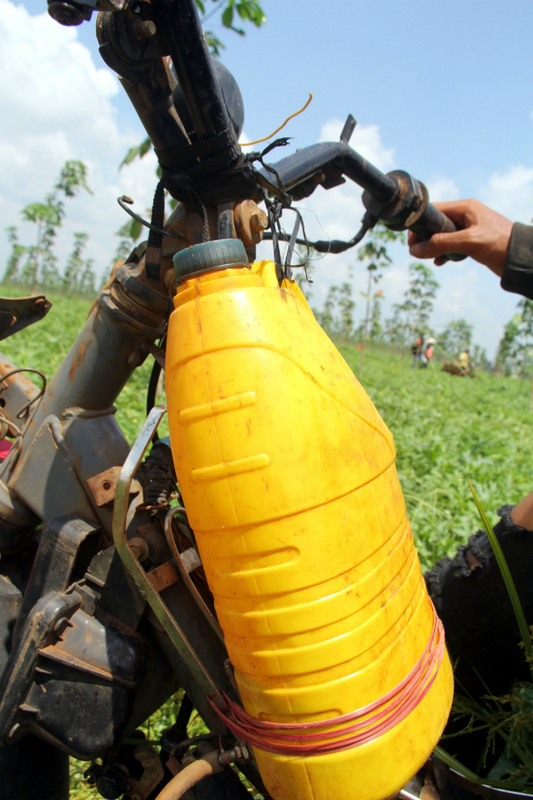 They even prepare an extra bottle of gasoline in case their scooters run out of fuel while traveling between large watermelon plantations. 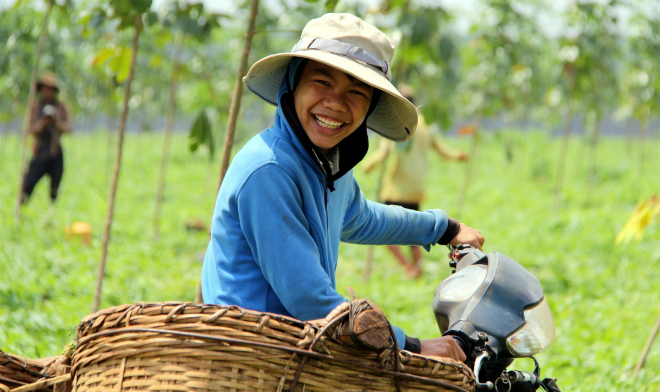 Each watermelon shipper or picker receives VND150,000 ($6.7) per day on average, higher than the national rate of $5.8 in 2015. 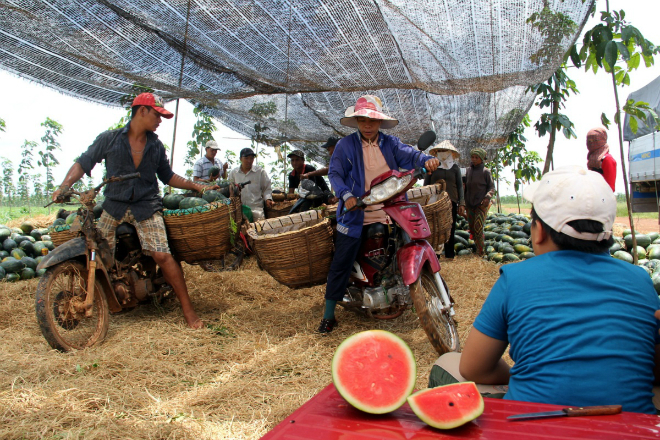 Watermelons are stacked up by the roadside ready to be classified by traders. 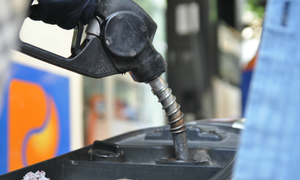 Many students also take advantage of their summer vacation to earn some money. 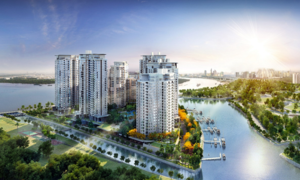 "My job is to unload the melons from the scooters. 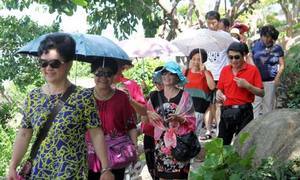 I often stand in the shade, so I don't feel very tired," Thanh, the boy in the photo, said. 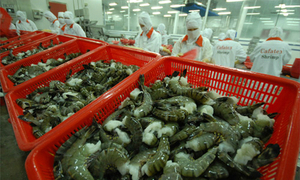 From Binh Phuoc, watermelons will be delivered to other provinces across the country and exported to China as well. 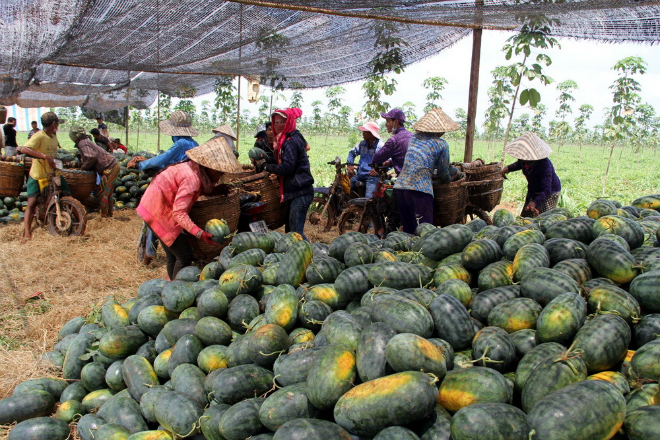 Binh Duong's watermelons are favored by many customers as they are grown on the fertile soil of the Central Highlands, providing a lingering sweetness. 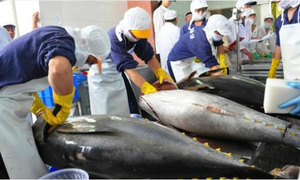 Some traders said that they have had to make deals with the growers in advance to have enough fruit to export.